You might often see 3D associated with the theatre and photographs. But did you know it can also be applied to signage? 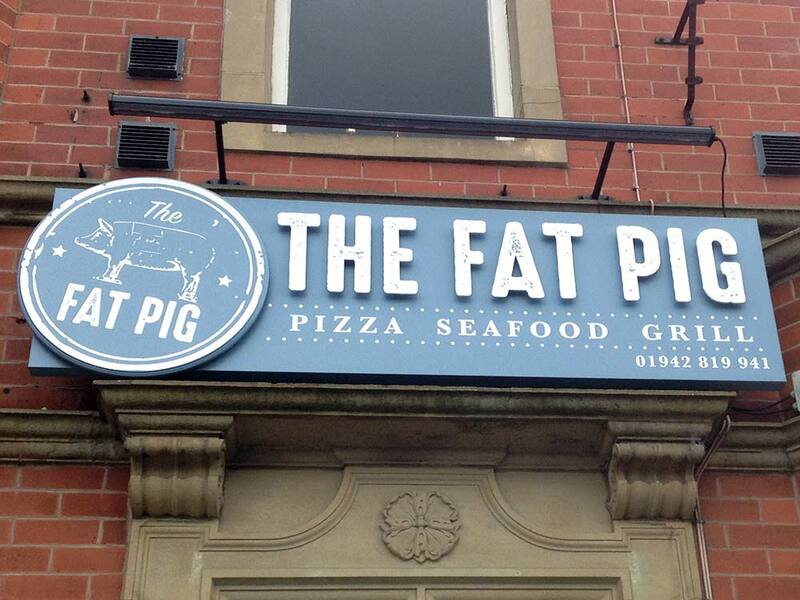 3D signs help your business stand out, by enhancing the sign’s visual appearance. As well as creating a unique look. Stainless Steel – Fabricated up to 100mm. Can also be internally illuminated with LED or Neon for a high visual impact. 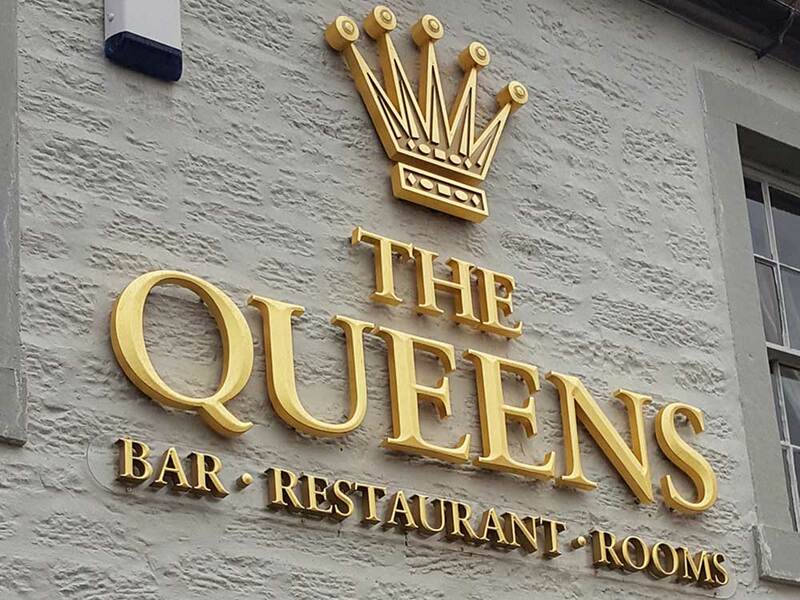 We can sculpture 3D images to make a fantastic impression and create 3D lettering in wood, metal or acrylics. We design, construct and install information and directional signage for a wide variety of situations. 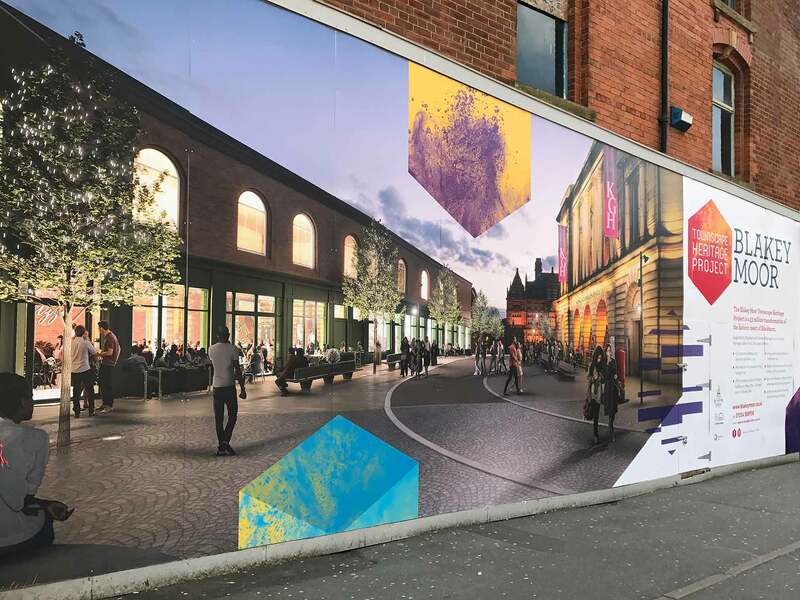 Our designers will help you plan, organise and display direction information in the right size and position for your building. Polished glass effect Acrylic or Glass. Acid etch onto Window Glass. Here at Parkinson signs, we care. 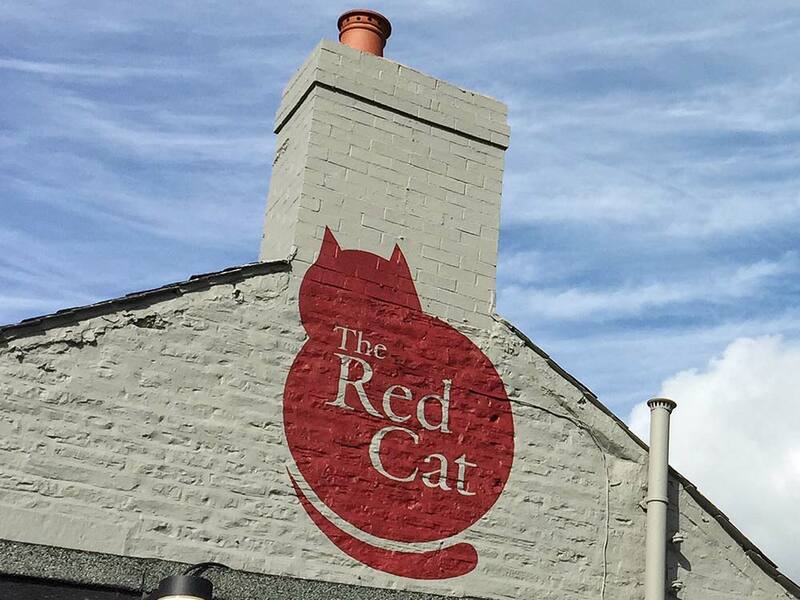 We use LED or Low Energy illumination which saves on energy costs resulting in a reduced Carbon Footprint. Wherever possible we use directed illumination to prevent unnecessary overflow of light into the surrounding area and sky. 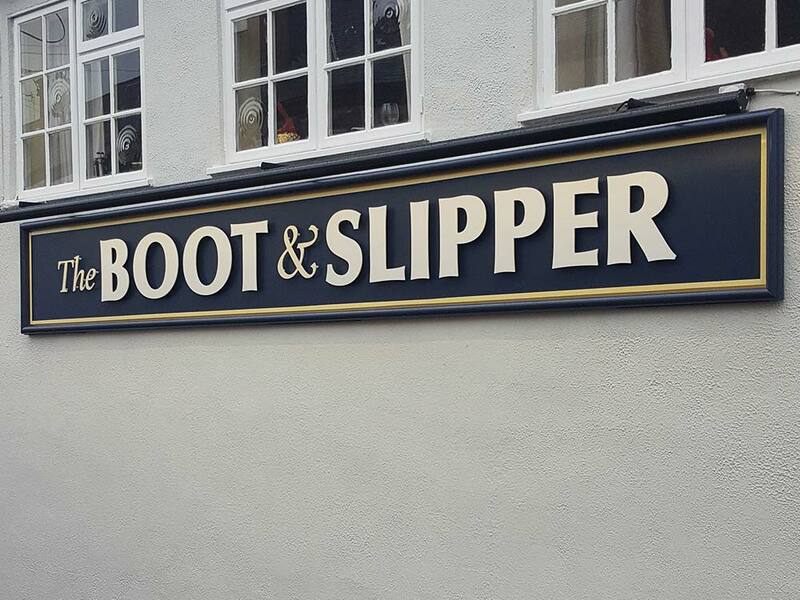 Interior signs can give a constant, subliminal link with your brand. Making it easier for customers to remember your business. 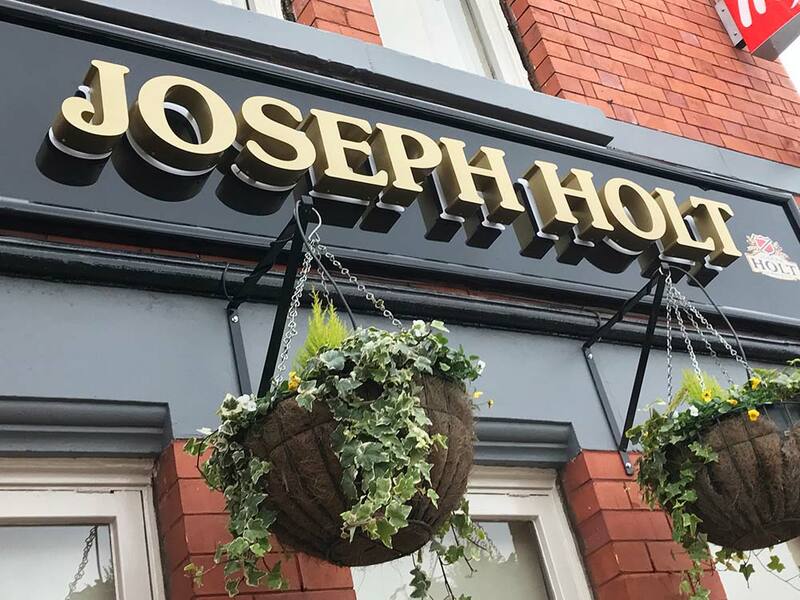 Trough lighting is a very common and effective lighting solution for shop fascias, or pub premises offering maximum illumination over longer wall spans. Trough lighting can be colour matched to customer specifications if required. Available in a large range of designs, colours, finishes and internal lighting options, lanterns offer a traditional lighting solution but with modern manufacturing techniques with minimum maintenance costs. 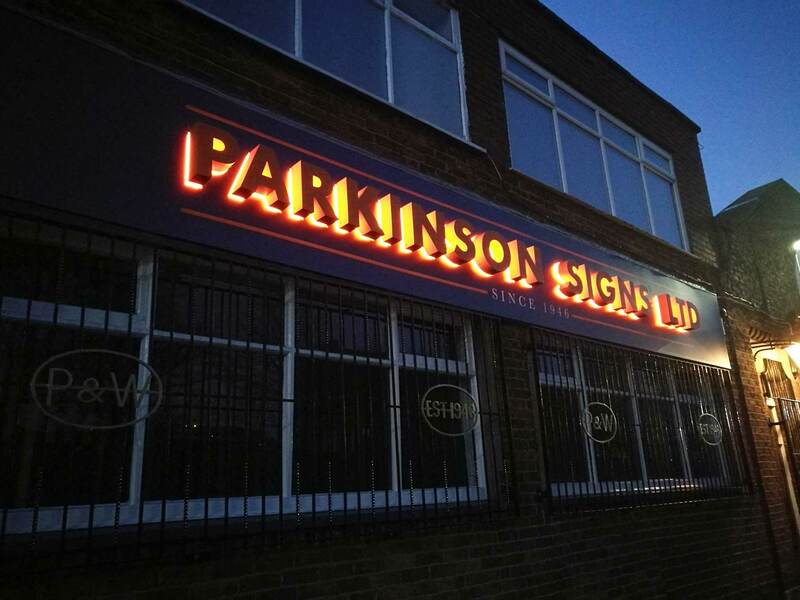 All flood lighting supplied by Parkinson Signs Limited are sealed units available in a variety of wattage and colour options. Flood lighting is an effective way of showing off architectural features of your building and premises. A fully energy efficient and very cost effective illumination solution. LED lighting is a particularly good illumination choice were accessibility is an issue and long life and minimum maintenance costs are a necessity. All LED illumination are fully waterproof and are fully compliant with EU health and safety requirements and regulations. 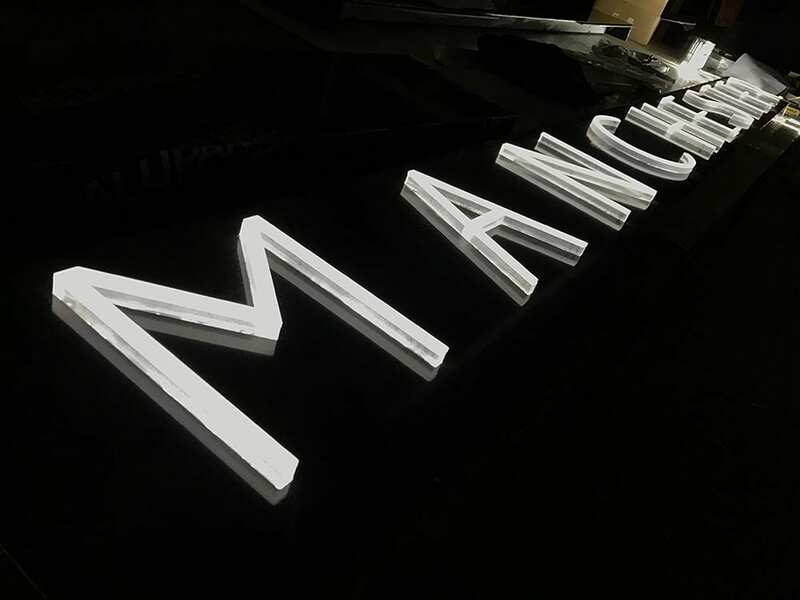 Crafted by hand, neon illumination can be manufactured to nearly any customer requirement inclusive of colour, font and size. 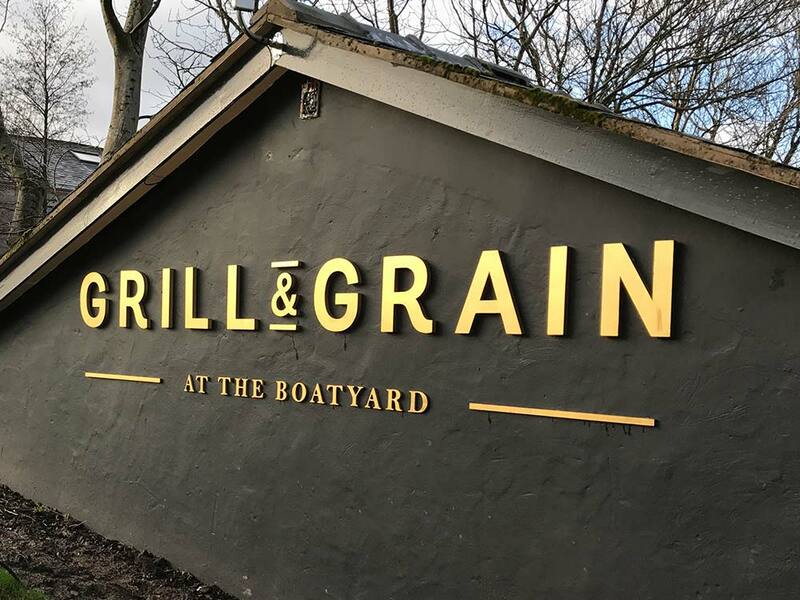 Neon illumination is a very traditional sign solution dating backing to the 1920’s, but is still a vibrant and modern solution for today’s competitive brand awareness market.